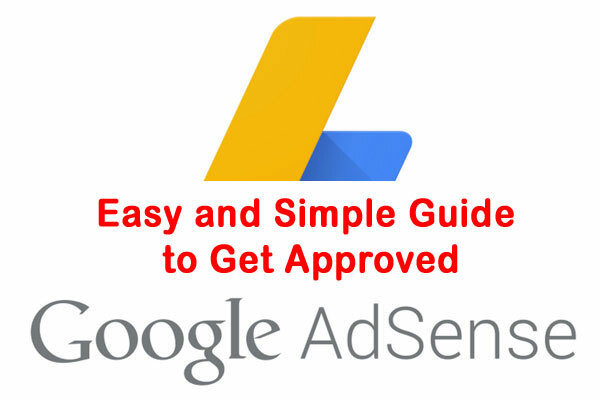 Hi here i am sharing best trick of the year how to Approve adsense account 2018, I just got approved by adsesnse in just 9 hours. Adsense also called Google Adsense is best and oldest of online earning it is an advertising service by Google. The Adsense is designed for website publishers and blogger’s who want to earn money by displaying targeted text, video or image advertisements on their website pages. Earning money depends upon site visitors, views (impressions) and clicks on ads nature of Ads and the quality of traffic and your keyword CPC. Your content must be unique and fresh that full fill user demand as per your selected keyword. Your niche must well defined and specific, post the content only in your specific niche do not post irrelevant content on your website that does not mach with your niche. Do not take images from google try to arrange your own images that will help you to better rank your article in google. Submit your site in google, and ping web master before you apply. The advertisements are controlled and managed by Google. Web publishers simply need to create a free AdSense account and copy and paste provided ad code to display the ads. Revenue is generated on a per-click or per-impression basis. It is free to become a verified website publisher in the Google AdSense program. AdSense disapprove 90% of account because of low-quality contents. If you apply these instructions you will get your AdSense account in just 9 hours! The biggest problem of AdSesne disapproval is faced by blogger so i will first add few mandatory points for them to approve adsense. Use Top Level Domain: – Domain performs the very important role to approve AdSense account 70% of blogs are approved because of the top-level domain, com, tk, info, etc. if you don’t have any domain name register it, if you don’t want to pay for it and want to have free top-level domain you can get it free .tk domain. Use Google analytics, Use of Google Analytics is important for both blogger and website owners, web analytics service offered by Google that tracks and reports website traffic. Google Analytics is now the most widely used web analytics service on the Internet. Publish unique articles: – Do not copy paste any data from any other source publish your own writings, own art, your own passion. Your content should contain complete sentences and paragraphs, not only headlines.a good article can lead you to permanent success in in blogging. Specific content: – Your articles or information should be to the point so that visitors can find the needed information from your shared contents. Publish Rich contents: – As a publisher, you must provide unique and relevant content that gives users a reason to visit their site first when they find relevant martial. The blog or site that contains only pictures and videos is mostly disapproved by Adsense, so try to post other information rather than videos and pictures. After applying these tips on your blog or site you may approve your account within hours, if you have any query you can contact me by on commenting this post I will guide you as much as I can.